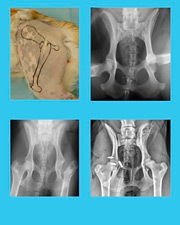 Is the lameness in your best client’s dog due to osteoarthritis or is it immune-mediated disease? Face it, without synovial fluid analysis, you’re just guessing. Come on….get that synovial fluid and KNOW what you’re treating! You look at urine to direct your urinary therapy, why not apply the same logic to joint disease? The only missing step is learning how to perform an arthrocentesis. Arthrocentesis and intra-articular injections are EASY…if you’ve got someone showing you the way. 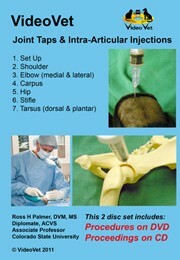 This DVD contains over 20 minutes of video demonstrations on bone models and a canine cadaver to guide you. There’s even matching illustrated notes!